Huh ? Hmm, I am not sure… Where do I find that? Recognize these questions? I assume that almost all of you will have muttered them in front of your screen at least once or twice. Starting a translation assignment is not just jumping in and translating content. It’s important to gather information in order to meet the wishes of the clients and to deliver the quality that the language experts who work with LanguageWire are known for. Job Briefing, written by the Project Manager. Job Type Briefing, which can explain how you should generally work with this job type. Company Specific Job Type Briefing, containing information regarding how to handle this particular type of job for this particular company. General Company Briefing, containing valuable information about preferences and rules for this particular company in general. TM briefing, containing information on how to handle the TM. That’s a lot of information, and LanguageWire needs to make it easier for you all to navigate your way through these different briefings. To find out how we could change & customize this information to ease the workload for you, we needed to know what you thought about our way of communicating today and listen to your ideas for tomorrow. So I’ve been having some interesting and productive interviews with a few of our language experts and the main take away was: We need to make our briefings easier to navigate! “Offline translation using CAT tool of your choice”. This small change actually allows you to read only what YOU need to read and allows you to skip certain texts without missing valuable information. We aim to make this process even better in the future. It is very important that you like cooperating with us, that you enjoy working on our platform and that we can communicate efficiently with each other. I hope you like this change and the direction we are heading towards with our briefings. Please be assured that we at LanguageWire value our cooperation and we try to use as personal a touch as we can even in the smallest of briefings. The world is moving towards automation, it allows us all to become more efficient. In that process it is important not to forget that we are all people working together, and a simple Hi and How are you, can go a long way in building relationships. 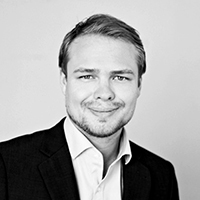 David Gudmundsson is the Team Lead for the Project Coordinators located in Hamburg. His team of 12 handles around 75 % of all Assignments that come through LanguageWire. He is working on improving the way we present our information towards all of you.